Jewelry picture perfect, Tiffany sparkles like a diamond from the first scene of Breakfast at Tiffany’s (1961). Audrey Hepburn steps out of a taxi as the sun is rising on an empty Fifth Avenue in front of the jewelry store wearing the iconic Hubert de Givenchy, otherwise known as the most amazing black dress in the history of black dresses. It’s accessorized with gargantuan costume pearls, big earrings and a mini-tiara in her immaculate blonde streaked brunette up-do. For dramatic effect she pauses on the sidewalk and takes a long look at her favorite place in the city before approaching the jewel filled window displays. 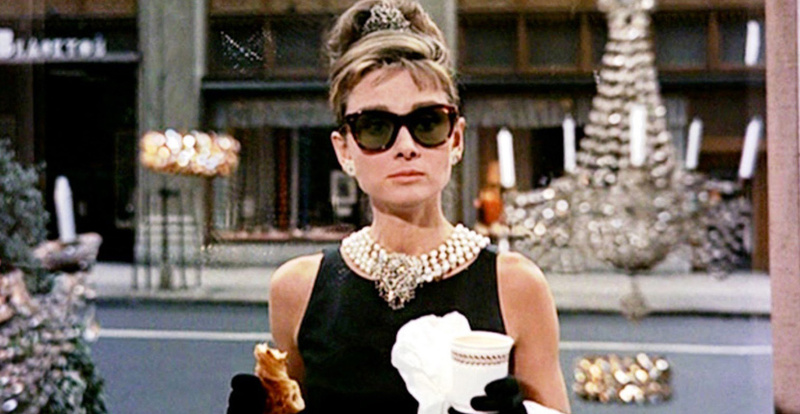 As she lingers over the splendor Hepburn, rather pricelessly, pulls a cup of coffee and a pastry out of the paper bag she is holding and enjoys, well, you know, breakfast at Tiffany’s. At other moments in the movie Hepburn’s character Holly Golightly, in her idiosyncratic way, tries to explain her passion, “I’m just crazy about Tiffany’s.” She waxes on about how Tiffany lifts her spirits when she has the “mean reds,” a case of depression worse than the blues. “Nothing bad could ever happen to you at Tiffany’s,” she says. It’s her refuge where there are big diamonds to dream about and a few things to buy for less than $10 such as a sterling silver telephone dialer or the price of a custom engraving on a ring from a Cracker Jack box. 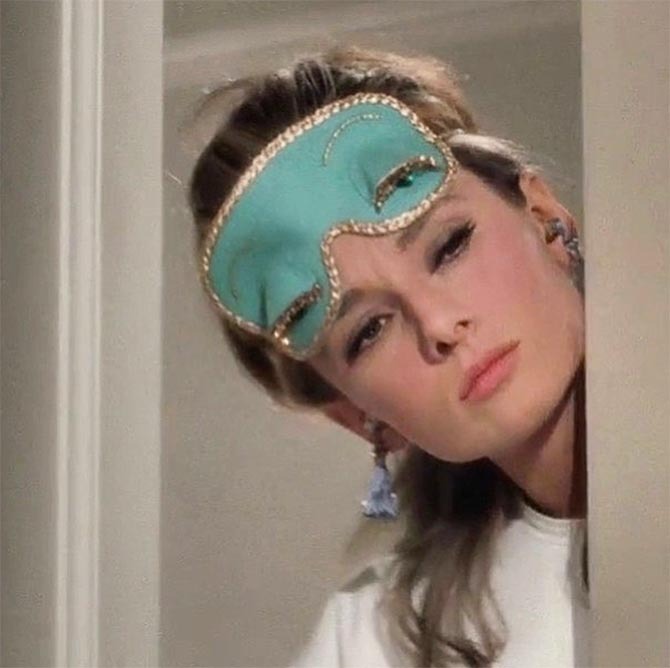 Audrey Hepburn wearing her Tiffany Blue colored sleeping mask and fringed ear plugs answers the door to meet her new neighbor in a scene from ‘Breakfast at Tiffany’s’ (1961). While Hepburn’s love for Tiffany was clear, she even slept in a Tiffany Blue colored satin eye-mask, she did not appear in one piece of the jeweler’s creations in the film. The closest she came to wearing one was when she posed for publicity photographs shortly after filming the opening sequence. It was a doozy, the 128.54-carat canary Tiffany Diamond set in a ribbon necklace by the firm’s French designer Jean Schlumberger. 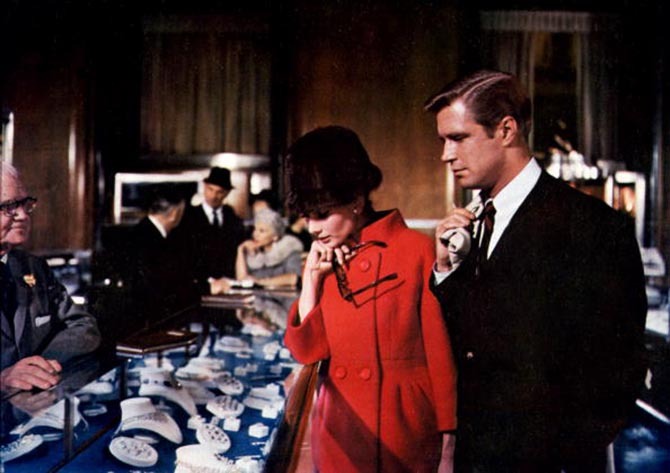 A glimpse of the jewel can be seen in one of the jewelry cases when Hepburn makes an excursion during business hours to Tiffany with her neighbor played by George Peppard. 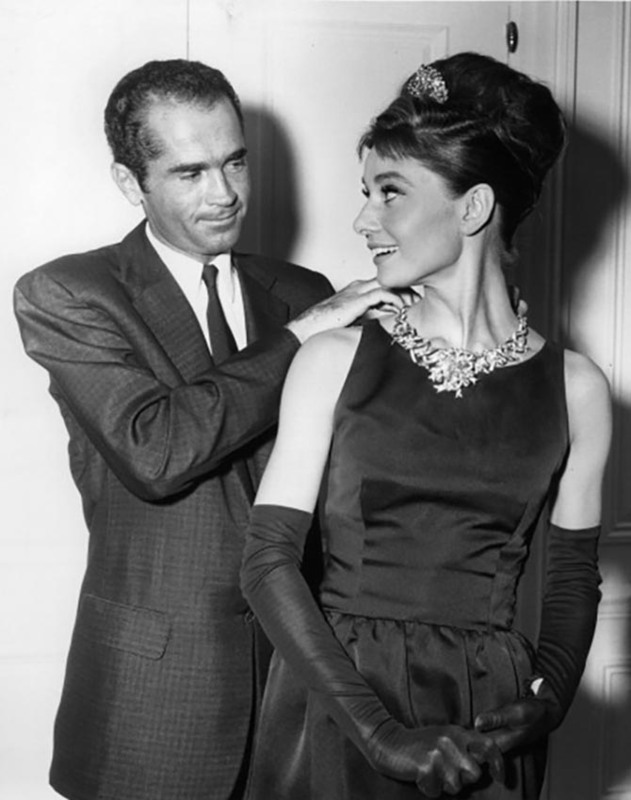 In the end, the fact that Hepburn didn’t wear any Tiffany jewelry in the film didn’t matter. She infused Tiffany with all the charm and glamour she delivered in her performance. Her portrayal of Holly Golightly transformed the landmark store into a tourist Mecca for visitors to New York City. To this day it is a destination where young women with big dreams want to be photographed if not shop and capture a bit of the magic. What’s Wrong With That Bed Full of Bling in Casino?